I haven't posted on TIG in a while. Last time was a "year in a review 2016" kind-a thingy for my previous game Operation KREEP a couple of weeks ago. During that time, I had to make some serious decisions related to my ongoing project Unified Theory. I've been working full-time on that game in semi-secret for a few months now, but for both personal and professional reasons I had to put it on hold for the upcoming three months. I talk about the reasons in my video blog or you can read about it in detail on my website if you are interested but in summary I started a small project to revitalize myself a little. I'm usually writing pretty lengthy posts (I know I'm a blabbermouth) and at this day and age many dislike to read even if the topic is interesting. I can totally understand that, since a video log or a pod-cast can be listened to while doing something else, it is usually more content rich and it takes much less concentration/effort to mentally digest. I also like to consume this type of content myself, besides following and reading blogs of many indie developers, I subscribed to (or watch occasionally) a number of developer/designer video logs. Content wise it essentially matches this post, but has much more live stuff presented about the game. I would like to continue creating these videos too (and would love to make them as frequently as the blog entries) as I had fun recording it, so I encourage you to leave a comment/critique here or under the video on youtube to help me make it even better (or fix annoying things about it) for the upcoming episodes. If you followed my personal devlog, you probably know by now, that the new game I'm working is a small project, with the goal to complete it and take it to market in a short period of time, focusing first and foremost on practicing my skills. Currently I'm at a point where the design documentation (and the feature set) is finalized and parts of the prototype is up and running. 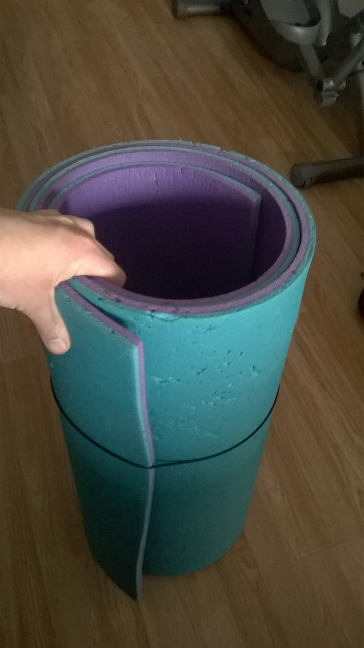 The estimation was readjusted once already (the first version of the design was too big) and I imposed a hard scope limit on myself for this project to achieve it's personal improvement related targets. 3 months + I'm not going to work full-time on it (only approximately 32 hours per week), so in less than 400 work hours the game has to reach a ready to be packaged and published state. That is the ultimate goal this time and for this to work out well I really had to cut corners and accept a design and feature set which fits into 300 hours (say no to dream features, innovative grand ideas etc...). The rest is there for overhead, "nice-to-have" features and because humans estimate time effort rather badly. I have to say, designing a game with this tiny scope itself, which I still would be proud to take to market, was a challenge in an off itself and it took some time to pull off, but I feel like I succeeded. I'm confident, that I can deliver this game in time and I can make a fun experience out of it's core idea. Current project numbers (containing a possible Steam release work too) relative to the numbers of Operation KREEP. It shows, that the first draft turned out to be too big, so I cut features (a lot) + I gave myself a big enough buffer this time (nice-to-have) if I'm running over my estimates. I think a project with this scope should have been my next project after KREEP instead of Unified Theory. 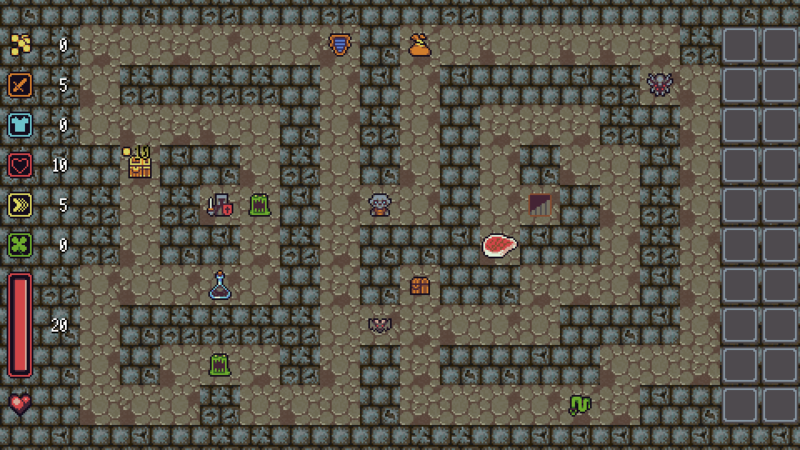 So the game is going to be a small "arcadey" rogue-like with a fun twist to the tried and true formula. 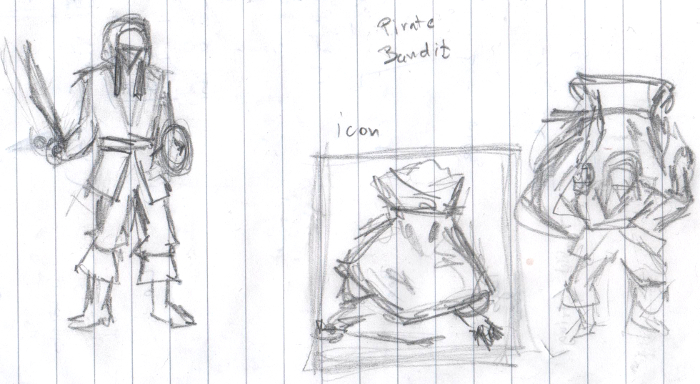 The core idea driving the design were artifacts/loot and a huge and messy inventory . 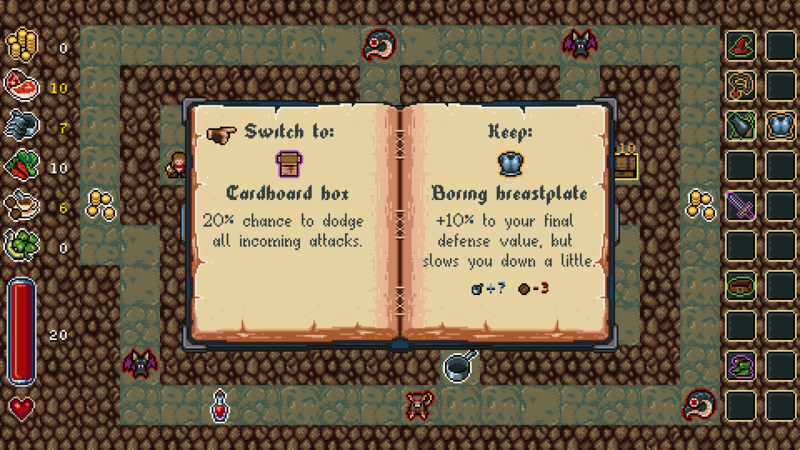 Every single item in this game is going to be unique with mostly unique skills and abilities (or a unique combination of them) on contrary to the procedural item design of many action RPGs. Around a 100 items are planned currently, will see if I can create those in time. The other "weirdness" is the number of slots in your inventory, which is 20 . So from feet to head gears, everything, literally! * Mystical zombie blood tainted socks of the necromancer *. Nope this one is not actually planned, but you get the idea. Since there will be an armada of items and item abilities + a huge number of slots and thus items to wear parallel, all of the character customization will be done by gear. No leveling, no extra maximum life received after killing a bunch of monsters. You have to get more "powerful", by collecting lots of magical artifacts and selecting your preferred bonuses. Run focused campaign, playable in short bursts with lots of deaths/retries , full of intense battles all the way. 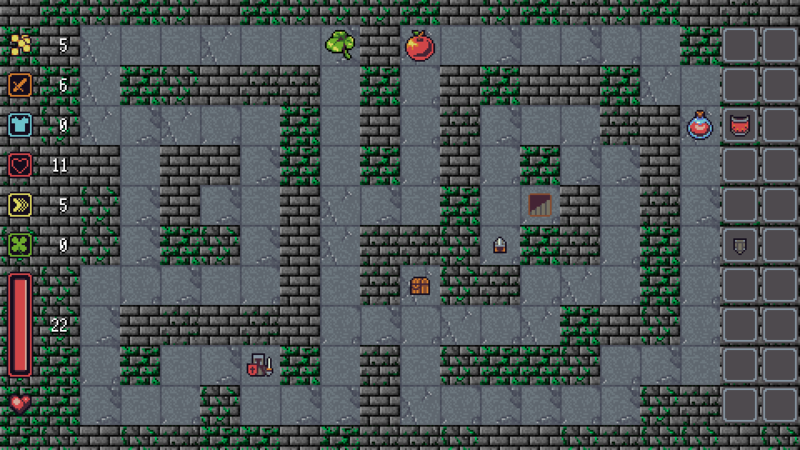 It is pretty early to show screenshots but I decided to share how the prototype looks at current stage. Important to note that nearly 100% of what you will see now is composed of open art assets, so the look is fully subject to change! 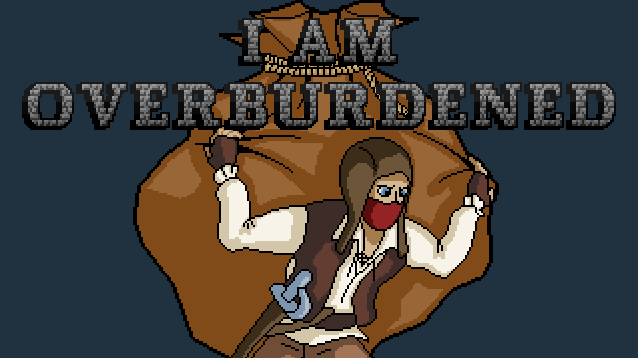 So there you have it, I am overburdened. During this week I'll complete the final prototype which will have all the core features working. Afterwards I'm going to move onto mostly producing content for the game (dungeon layouts, monsters, items and abilities etc...), but probably by next week it will still look kind-of the same, as I'm planning to work on the graphics only at a later phase, when the game is already in a solid playable state. + Important news: you can follow the daily progress of the game too on it's Trello board. I could go on about this game for pages (as always ), but this should be enough as the first entry. 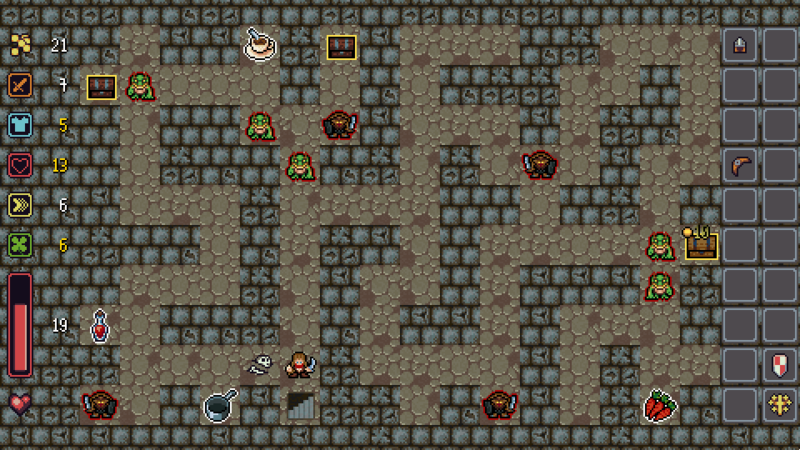 Worked on the linux/mac port of KREEP, but still no announcements yet (but not far). From now on measure word-count and aim for 500 to 600 word long written entries. 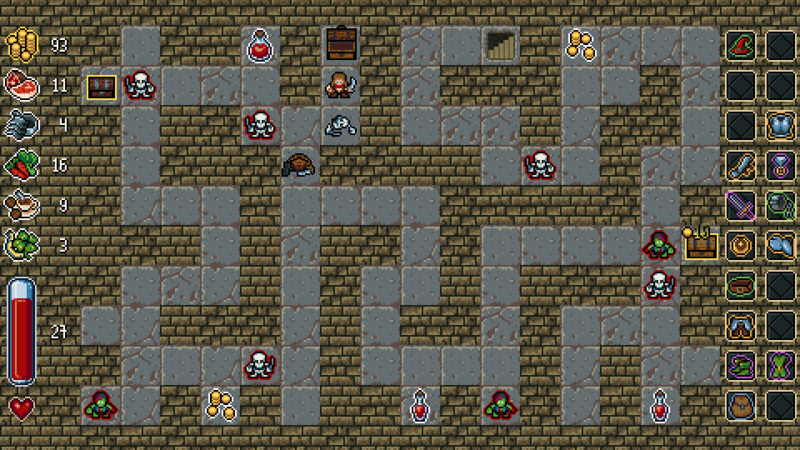 The inventory system and the basic item logic is in place. 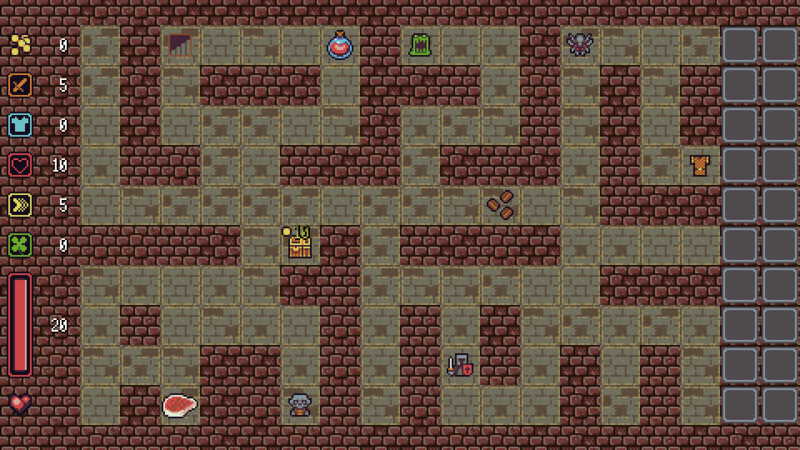 Items don't have their bonuses and skills implemented yet, but I'm already working on it . 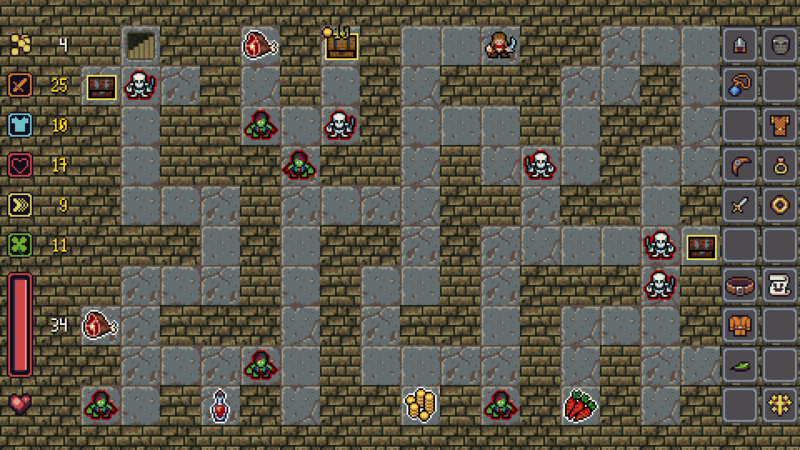 The plan is to have an event system "fueling" the skills, so the bonuses can be configured in tiny "scripts" (e.g. : [+X] ["Attack"] when [attacking "undead"] or [+Z permanent] ["Health points"] when [reaching "stairs"]). It has to carry the weight of 100+ unique items, so I hope this approach will be adequate. 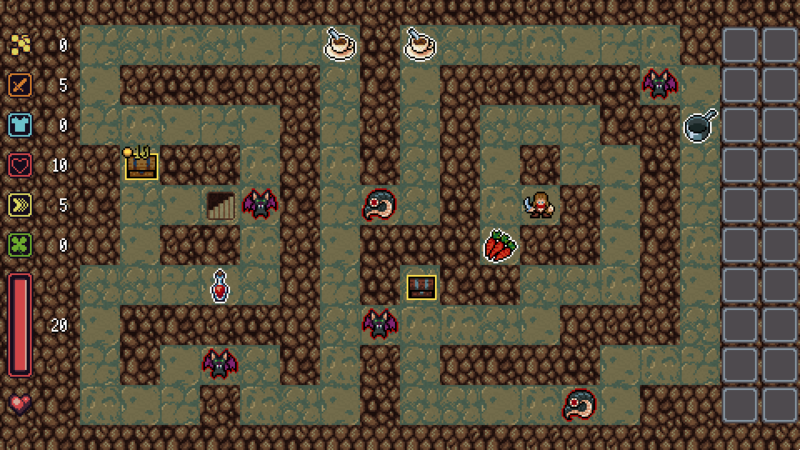 As the next step, I have to complete the monster and battle logic. I put down the skeleton code for this too but it is going to take a few days to finish. 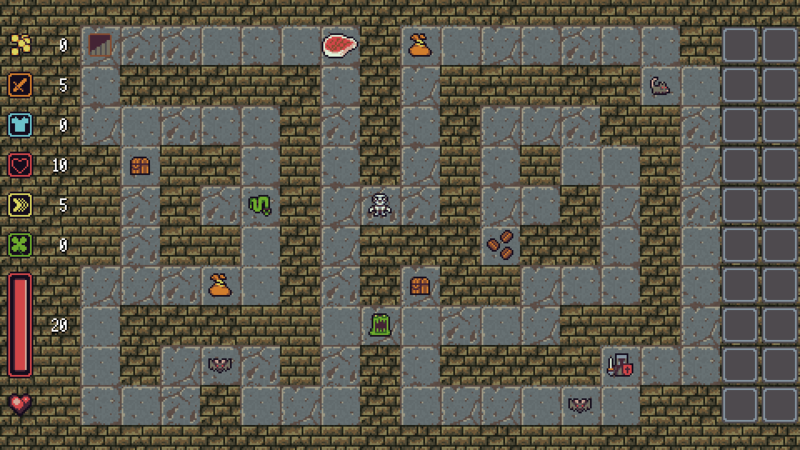 Once that is done, the game will be pretty much playable, but lacking content and original assets. 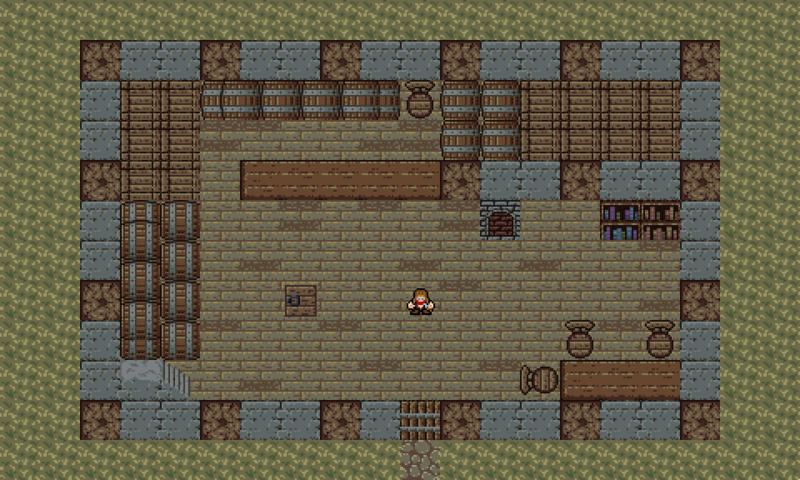 So the next post will focus on the monsters, finalization of the RPG layer and the item system. Maybe it will have plans for an open alpha release too ?! During this week, I pretty much completed all the logic related to the monsters of the game. From their type description (sprites, attributes, inventory?! , database of monster types etc...), all the way to battling with them. 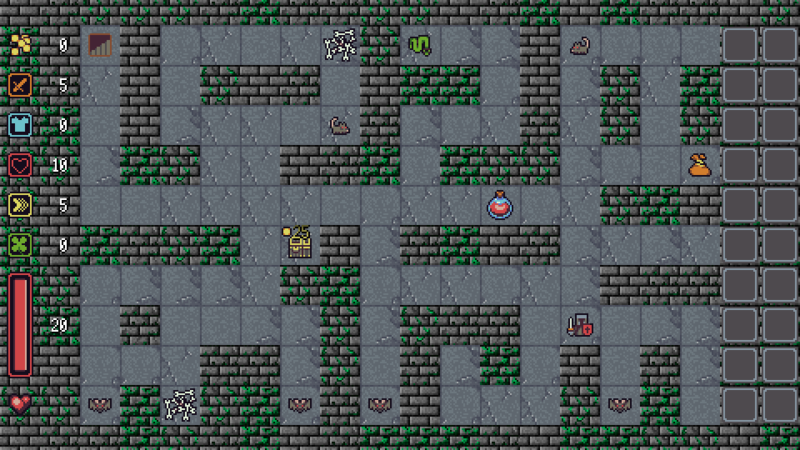 Also filled the game with a bunch of placeholder monster sprites/types to test it out, and now it feels like a real rogue-like with character advancement, treasures and risk of death . Is this all open game art still? Are you planning on getting an artist, doing them yourself or keeping the open art? Hi! Are a you thinking about a fog system or maybe some sort of lighting engine? I'm just curious about it, because at the moment you are able to see the whole dungeon and all the items and monsters at a glance. This looks like something i would like to play! I personally think a bold and simple art style would work best. Thx, for the tips and question! I am planning to do the art myself, starting probably next week (based on my schedule/estimation). 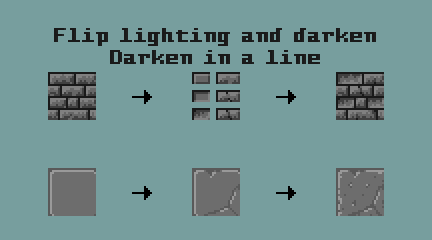 It is going to be similar in style, so pixel art, colored outlines for entity type differentiation (like dark red for enemy sprites or something similar) and static sprites animated a tiny bit using tweens and scaling, but still not 100% fleshed out in my head. I may throw in some torches and a tiny lighting system, if time allows, but it will be only cosmetic! Thx , will try my best! Yep, going for clarity with the final art style, maybe something similar as the current editor tile-set, but still not 100% sure. This entry turned out to be lengthy and pretty technical. Sorry about that, but last week was spent only on "under the hood" stuff. I did my best to make it interesting though ! So the agenda is the item system which became really sophisticated, especially compared to the size of the game + the difficulty and pacing management. I highly recommend calculating most of the final modifiers and attributes of a character in RPGs every time one is needed. The more caching you introduce into these systems, the more groundwork you lay for pesky bugs to occur, so keep it low! Usually these calculations are pretty simple (will never be a performance hit) and the hard-coded constant formulas will be really straight-forward to follow. The player data holds the permanent attributes of the character (starting attributes + permanent power-ups) and the inventory holds the sum of the attribute bonuses from the equipped items (only a tiny bit of caching) recalculated every time it is changed (e.g. : item pick-up, item swap etc...). 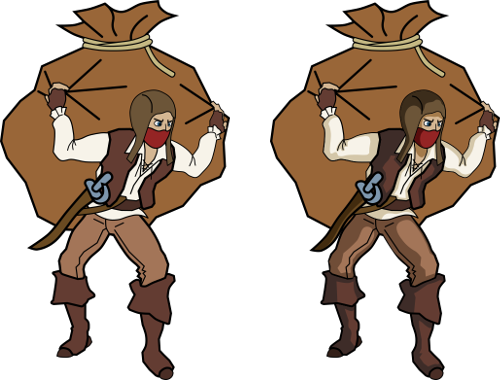 The final value of an attribute is the sum from these two structures and the modifiers queried from the extra skills of the equipped items applied to it. 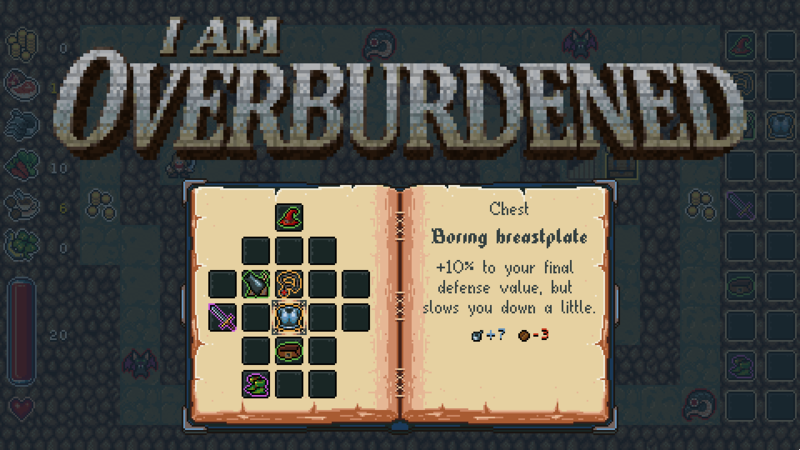 For a high level of flexibility and to have a varied set of special skills I implemented an event system. I followed a similar but a bit more dynamic approach as the built-in event language feature of C#. Essentially an event is a string (the name of the occurred event) and a context holding additional data related to it and a skill is an event handler implementation. The execution of the "TakeEffect" method can also be chance based (luck of event firing creature is taken into account). so a skill may only take effect with a given chance (e.g. : 10% chance to "XYZ" types). Most of these events and skills took only a few lines of code to integrate and I have several more ready and working. Combing and configuring them to take effect on specific events with various chances is already an immensely versatile system to build items ! Yep, last week was rather busy, though I'm behind my schedules once again . 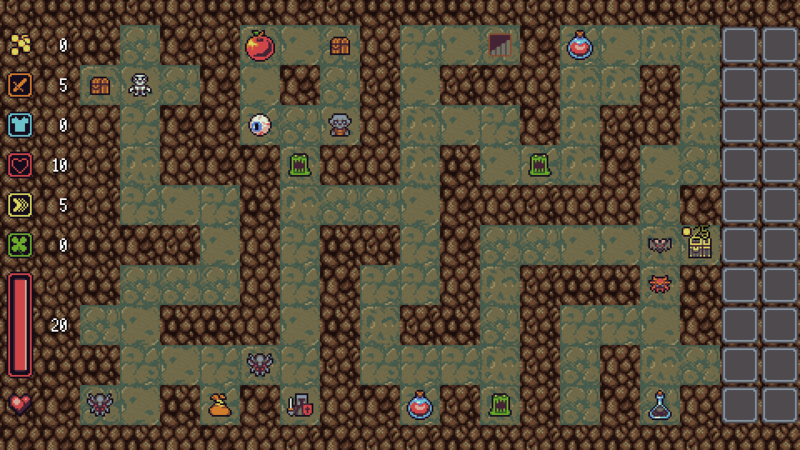 A little more than a week ago I was confident I will have some (even if not many) art assets done for the game by now. Sadly slipped a little. 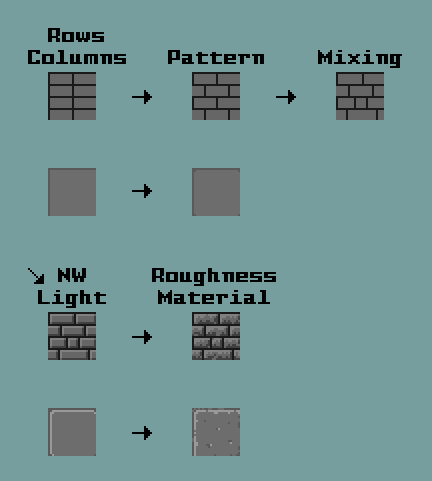 This is the next step though, so the following entry will have pretty sprites and screenshots ! 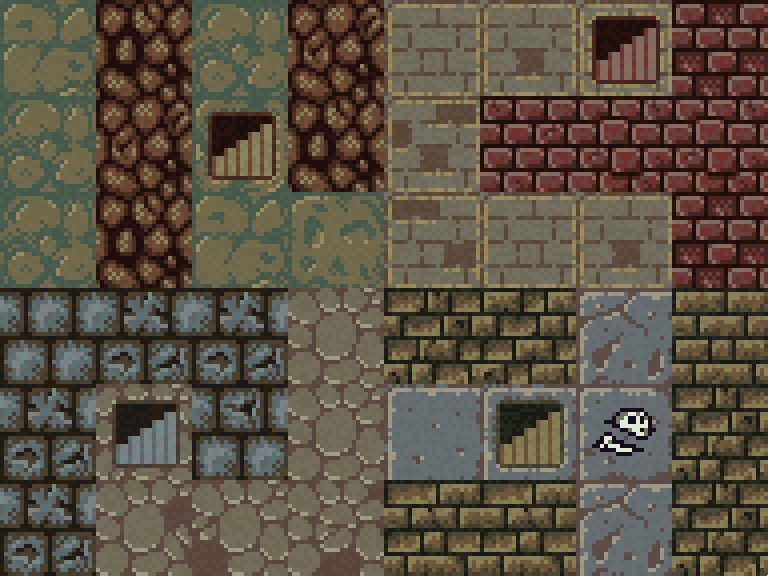 I love the use of noisy tiles to differentiate background and foreground. The single screen gameplay is also something I am very fond of! Keep it up. Especially love the simple but snappy and responsive animations. This post is going to be more like a tutorial, than a journal entry. I highly recommend checking out the video version, as it is heavily audio oriented + it contains some recent game-play footage . I decided to record and process as many effects of the game as I can. Last week almost a day was spent clowning with common household items to create noises . 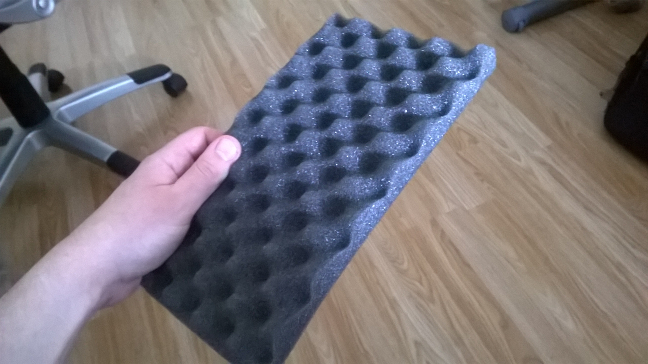 If you are thinking about a similar approach, start by throwing together a DIY "recording studio" (sponge box). Even if you have a decent microphone it will help immensely with canceling noise and reverberation. Some sponge (check the boxes of your PC parts ) or a curtain can do the job. 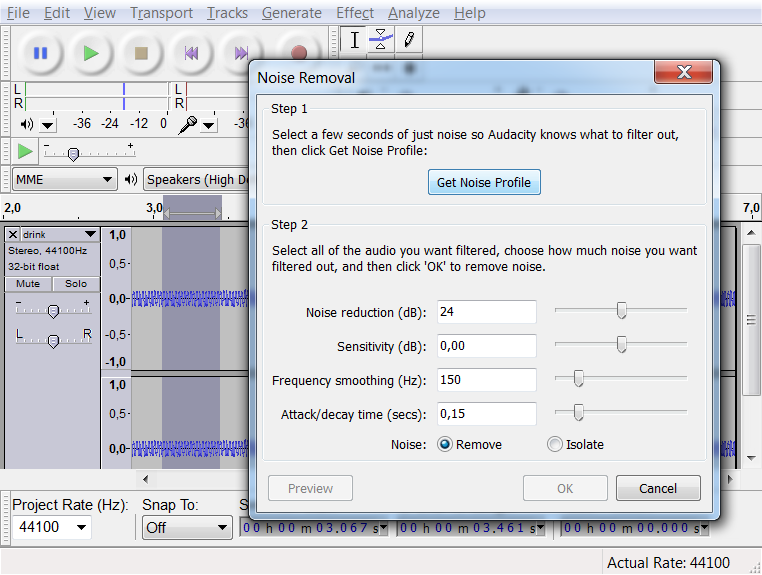 Otherwise you may end up with really echoing results (noise can be helped with software!). 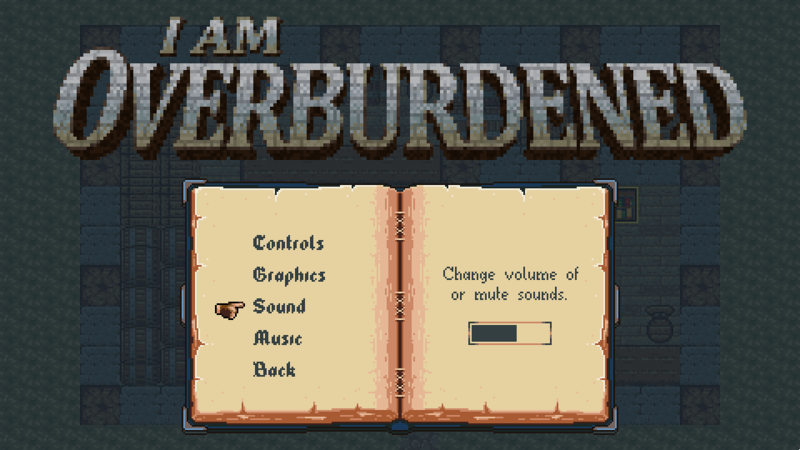 For I am overburdened approximately 50% of the final audio were recorded (some stuff is just hard to record in your room ), the other half came from OpenGameArt.org and Freesound.org. Both of them are wonderful sites full of really good content, many even final production quality. 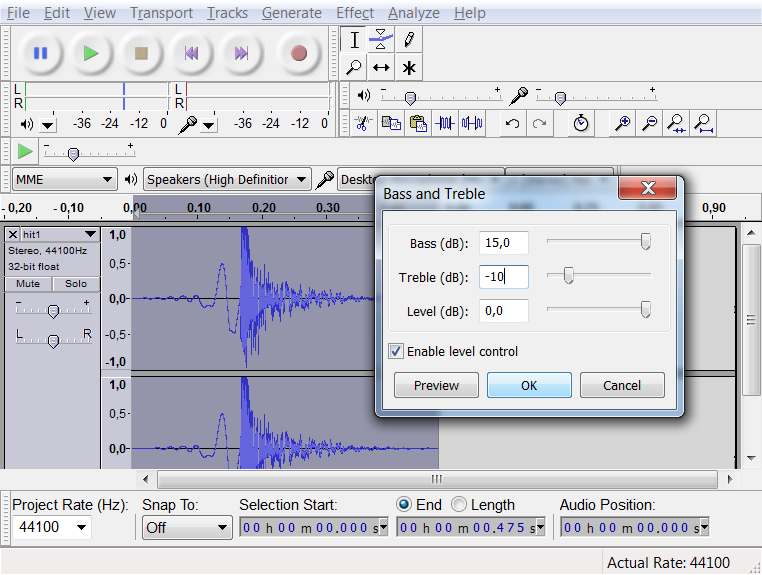 After listening to an hour worth of sound effects I selected the best matching ones based on my list of requirements and remixed many of them using Audacity for even better results. Took most of last week off for vacation == no entries, sorry about that, but this week I'm going to make multiple videos and blog posts ! This first one is about the box-art of the game. I planned to make a difference this time, but I significantly underestimated the needed efforts . 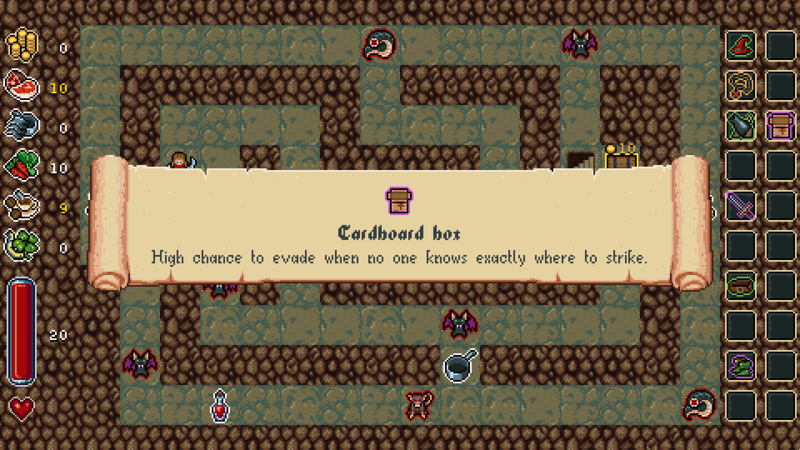 I wanted to capture the plot of the game in an image, suggesting the core mechanic, which is trying to collect a lot of loot and having a huge inventory, but still not being enough. All in all I think I succeeded but it took two tries . I wanted to create a pixel art end result, because I dislike box-arts with totally disconnected style from the game (except if it is top-notch quality + it adds to the lore of the game) but from my experiences with Operation KREEP, I knew I'm going to need a s#!tload of image sizes for promotional art (especially true if you plan to sell the game on multiple storefronts). Steam alone requests 5+ marginally different aspect ratios. So I decided to go with vector art as a base, and fix various sized renders instead of manually doing 3 to 4 different setups pixel by pixel. 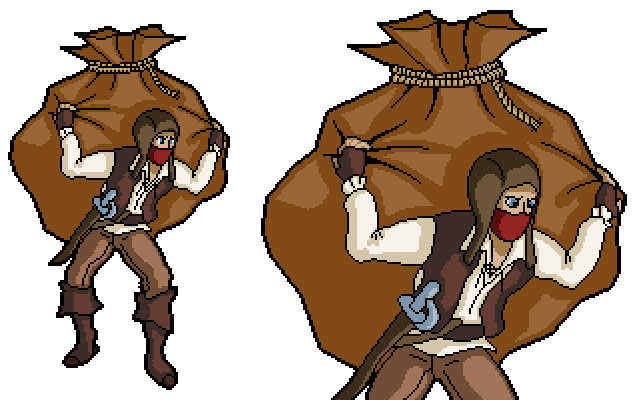 I tried out rendering the character in various sizes and fixing them up in GIMP using color reduction and manual pixel pushing. I still had "hope" at this point . I don't know if anyone likes them, but I sure felt like they simply aren't working. I liked the character, I liked the colors, but the image was lacking detail, a good looking title-text, a correct composition and most importantly somehow it was lacking life . After days of fiddling on-and-off with it I decided, that no amount of polish is going the fix these problems, so I scraped it and started over! Funny thing about the final image is, that it took much less time and effort than my first attempt and I think it turned out to be a good deal better looking . I came up with this, but I decided to scrap the idea. I liked it sort-of, but making multiple varied sets for the 30 to 60 minute long campaign and fully fleshing them out in this style would require and immense amount of work. I choose the original simple style with a decent amount of variation instead. So I returned to the looks of the prototype. 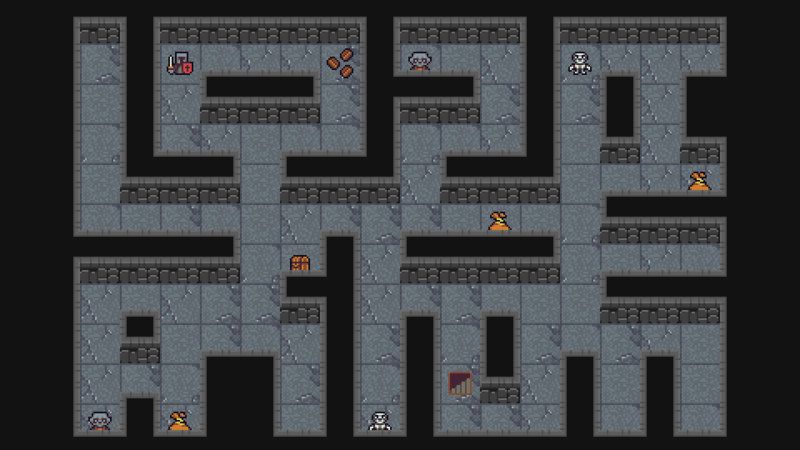 Easily distinguishable wall and floor tiles, noisy and grimy places (it is an old dungeon after all) and good variations (many sets and small randomization within each set too) so it does not become boring during a full play-through. I needed a cool palette. Something murky. 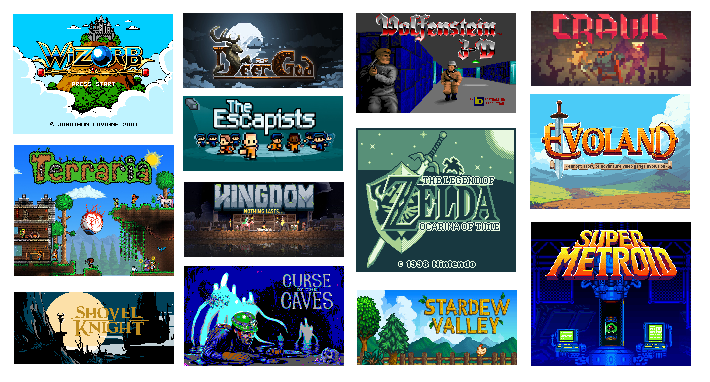 While picking colors I naturally deviated towards the looks of a game I always cherished for its atmosphere . 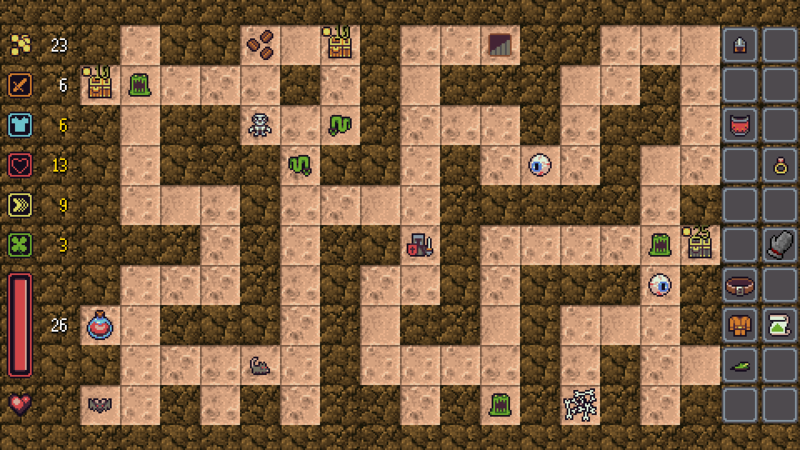 I have 10 different tile sets ready which I suspect will provide a good variety . 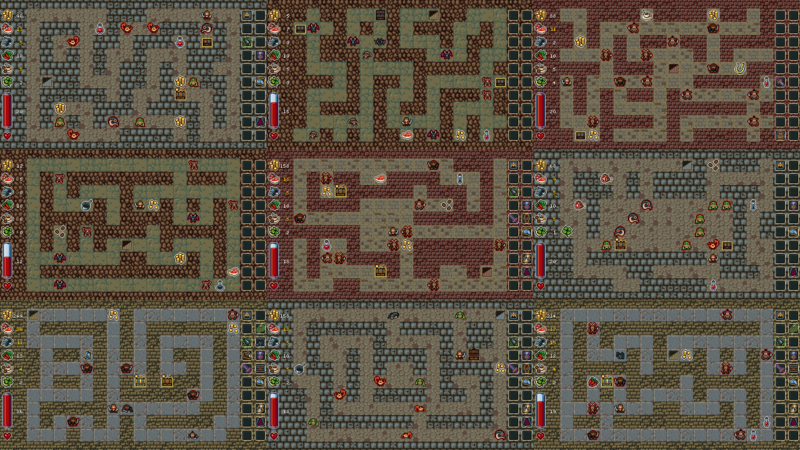 With 30-ish level deep dungeons a set change will happen after every 3 levels. Now you have a nice looking tile. The next step is optional. Adding noise was a deliberate style choice in my case. You simply add an extra set of values with only slight changes relative to the originally used ones. 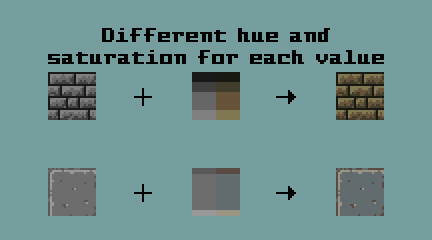 Select the noise colors the same way as the "normal" colors. 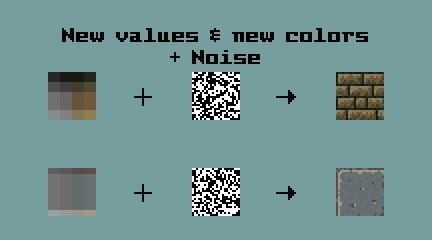 Generate a noise pattern and overlay the noise colors on top of the tile using it as a mask. The next stop was entities. I started out with defining clear goals for the looks and creating a palette serving these goals. The idea was to select contrasting, vivid colors to make entities pop from the environment and on contrary to the looks of the dungeons make them lively (browns and yellows are still pretty strong still )! The first apparent visual choice here are the light borders. I decided to add a colored one to every interactive entity type, so the player can not miss which tiles poses a threat and which ones provide bonuses. I made four chests with various costs/functions but I'm keeping the last one as a secret for the final version . 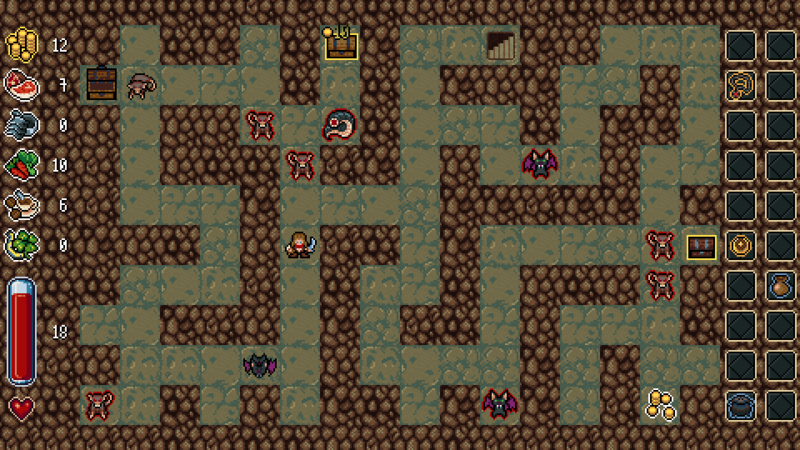 I settled on a style after a few tries where the monsters are pictured from the same angle as the player. 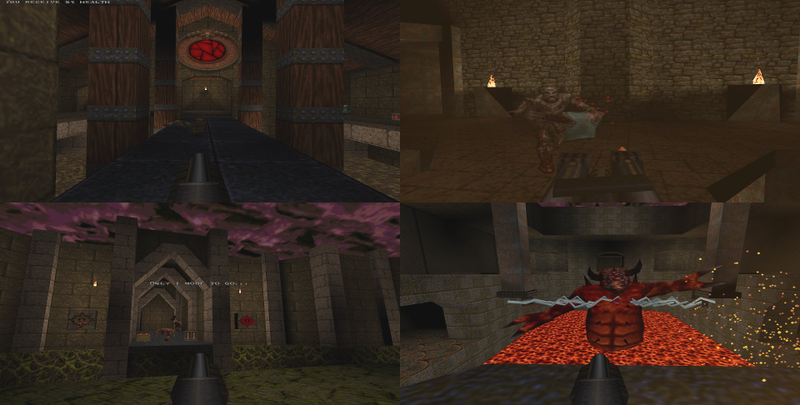 I plan to have around 15-20 unique monsters and a boss, which will provide a good variety for the 30 dungeon levels. They were divided into four groups based on the story when designing the looks: were/giant animals, goblinoids, undead and the allies of the boss. Almost all of them is ready (currently at 16). This looks pretty cool! I'm usually not fond of "cute" GFX but your game begs me to play it! Nice posts! That second iteration of the cover art looks so much nicer than the first! 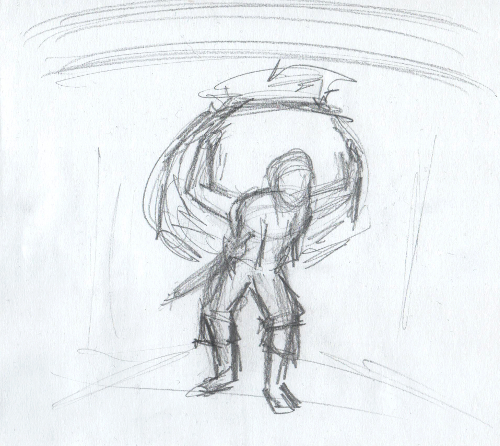 One thing you might consider though is flipping the character around so she(he?) is pulling the bag forward with the rope over her shoulder. 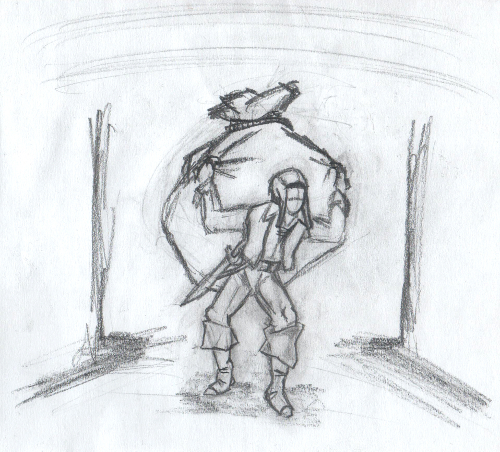 It might convey the heaviness of the bag better. Or it might mess up the balance of the image, just a thought. Keep it up! Thanks for the kind words and comments really appreciate it ! Will try my best to deliver ! That's a good tip, I'm pretty busy with a lot of stuff ATM, but if I find the time I will play a little with the box art and try out a flipped pose. There was a lot actually, but the development entered its last stage where there are a zillion small tasks left to be done but no modifications are substantial. The notorious last 10% which takes 90% of the development time . I go through all the changes made during last month in a few sentences, than I'll adumbrate when and how am I planning to push this game through its finish line. I completed all the monsters from the easiest pawns up until the final boss. Their attributes are not balanced yet, but all their names, sprites and basic settings are done. Now each and every one has its own corpse graphic and unique sound effect too. This last bit was originally flagged as a nice-to-have addition, but after trying out the game with a few monsters having its own sound and carcass, there was no turning back . The battles and item skills were lacking visually, so I decided to apply some cosmetics. I Implemented a simple system to flash in and out various sprites at given coordinates in the dungeon on top of the entities. I was pleasantly surprised with the effectiveness of the initial results. Since than, I added configurable opacity easing- in and out and timings. Now item usage and battles are really shiny . Another set of crucial visual queues missing from the game were notifications. 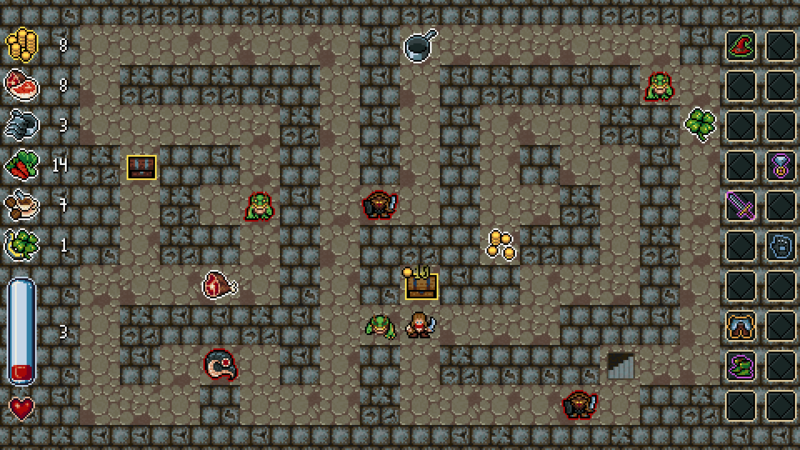 Many pickups and events yield varying results in a roguelike and yes a player can figure out how much gold was picked up, but it is so much nicer if the game helps a little with these, especially when important changes occur. 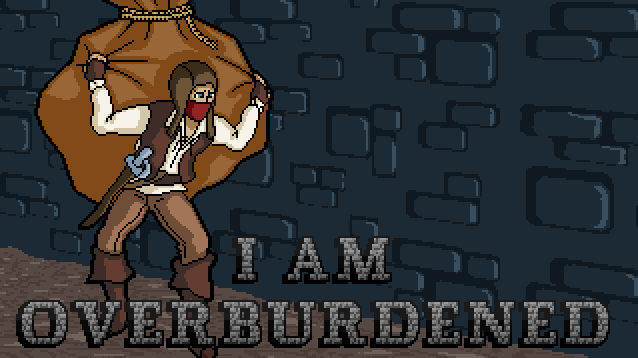 Clearly when it does not fit the style its not necessary, but I am overburdened is not a "super serious" game. 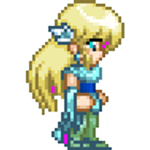 Of course these can be overdone, but I tried making them not too obtrusive. Both the effect system and the notification system is accessible by the item skills, so various "spells" can trigger these too. 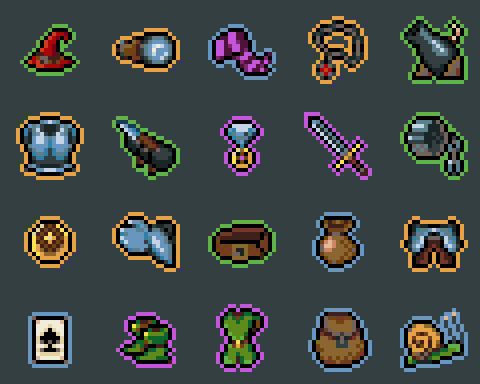 103 unique items, each and every one having a unique sprite. All the graphics are done with around 50% of the item lore finalized and it was a hell of a lot of work. Sadly something I underestimated again. Making the graphics was not difficult but coming up with unique, interesting or funny concepts, skills and short descriptions after having around 75 piece already, was tough. The last mile became a grueling, laborious crawl! When a lot of great content is already in place and almost every single archetype is taken, it becomes ridiculously hard to come up with new ideas hitting the same quality bar . After all I think I achieved my goal in creating intriguing hand crafted loot what may serve as a strong hook for the game, so I'm proud of the end result. I don't want to spoil too much so I'll only show a small selection of sprites. Sorry, you have to play the game for more . In Operation KREEP I hard-coded some strings, rendering the game impossible to be fully localized without code modification. Some buyers actually asked about how they could do translations. I felt really ashamed while answering those mails . For I am overburdened I've built a system which allows to bind assets for specific cultures and all the strings are read from asset files too. There are no major limiting factors now, so technically the game could be localized to any language without modifying the application. I know some languages are super hard to handle, e.g. : right-to-left ones or the ones with huge glyph sets, but the point is, that it is feasible now. Since I don't have the budget to pay for professional translations, only English and Hungarian will be done for release, but if the game does well, this is something, that is high on my list . I dislike making menus because they are usually boring to design and program. For Operation KREEP I came up with the idea of creating a "screen in the screen" look, to make it more interesting and alleviate this feeling while working on it. 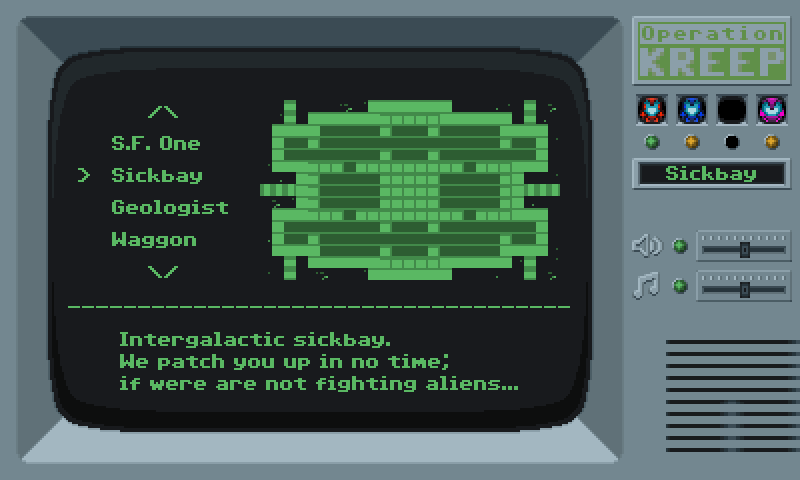 You navigated the menus of a retro-looking computer and the whole frame of the machine was drawn. It blitted the maps on the level selection screen in awful 4 colors and all the cozy stuff like that . It worked for me and for the game too. I tried a non-traditional approach again, but menus are still boring . 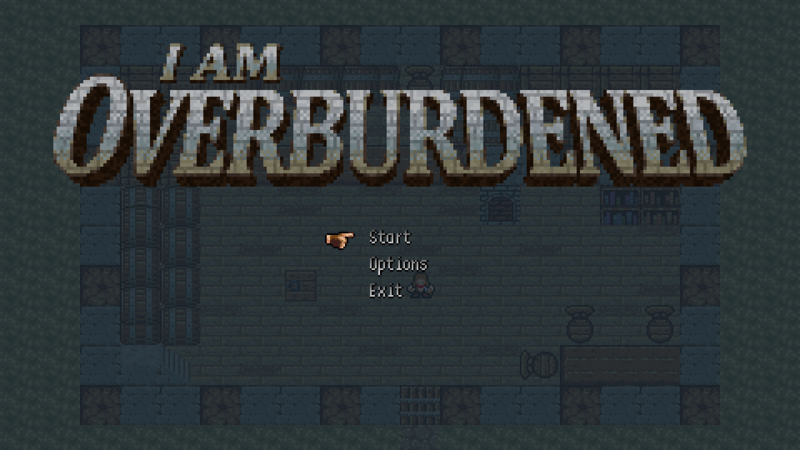 Since it is a classic trope to have a city in action RPG-s and roguelikes where you return to from time-to-time, I thought about including one in I am overburdened. The idea did not align well with its mechanics, so I decided to make it the main menu! 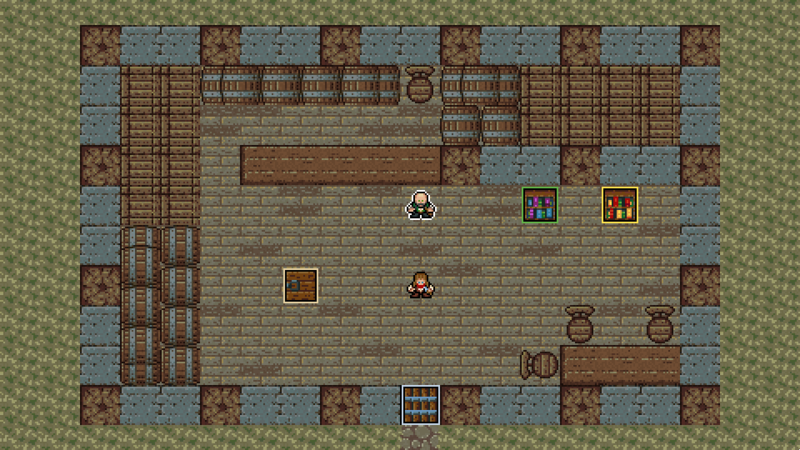 You move around in an inn, interacting with people and objects there to enter specific parts of the game. Talking with the inn-keeper lands you on a help screen, poking a bookshelf shows the settings, leaving the inn exits the game and the trap-door starts the actual dungeon crawling... 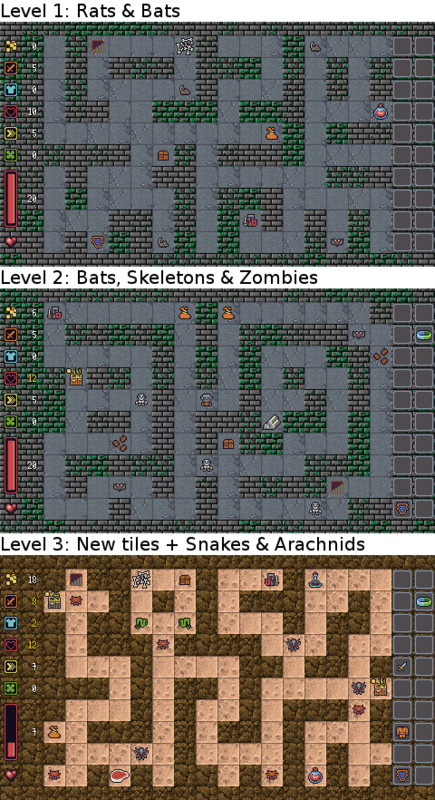 If a player gets lost, escape will bring-up an ordinary focus driven menu. It is far from complete, but the skeleton is there and some parts already work. I've been talking about this open version thingy for ages and I still haven't released it. In my original plans I wanted to have the full game completed by now . For the most part it is, but some planned content and finalization (+polish) is missing. There comes a time when I have to say stop and I think it is here, so from now on I will only focus on wrapping the whole thing up and this starts with putting out a beta version. Will prepare some marketing materials beforehand, like store page graphics and texts, maybe even a teaser trailer, so it may take a few days, but will share a download link for it in the next post ! I really dislike this, because I'm usually open and post a lot about my progress, but sometimes it just slows down and I end up in a spiral of "awkwardness", when I'm not progressing too much and I really don't want to talk about that . I completed most of the menus. Some minor stuff (few more characters) are still missing but I will finish those during June. I included myself as the inn keeper . Interacting with the guy brings up the help screen and he also tells the "story" of the game in the teaser. 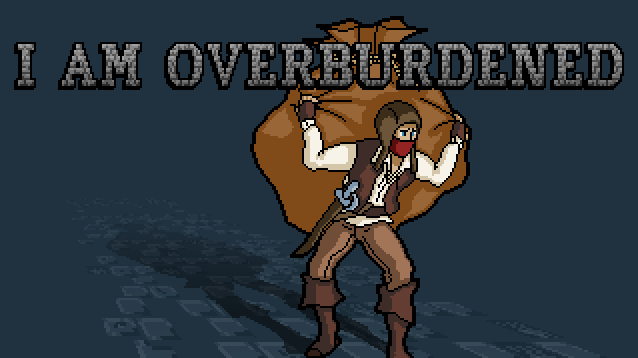 While preparing the trailer and other marketing materials, I had this urge to animate something related to the game . The in-game sprites are all static and I wanted to keep it this way, so I made an animated box-art. Some say it's a better attention grabber on storefront pages .